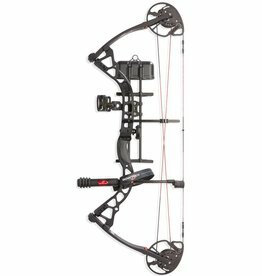 Draw length adjusts from 26" to 30.5"
Diamond Archery's Deploy SB R.A.K. Bow Package sports the industry-leading, super-accurate Synchronized Binary Cam system with rotating modules for extreme adjustability for a super-smooth draw, along with a draw length that can be adjusted from 26" all the way out to 30.5". 60-lb. and 70-lb. 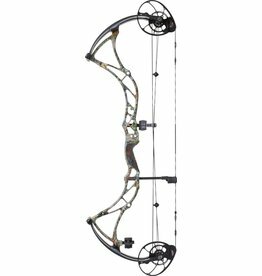 draw-weight options allow you to fire arrows at up to 330 fps – making this bow the perfect tool for experienced hunters, target shooters and bowfishermen alike. Lightweight, carbon Knight riser construction is tough as nails and lightweight. Carbon string stop transfers vibration from the string to the stabilizer for vibration-free shooting right out of the box. Left- and right-handed models available. Made in USA. Camo pattern/color: Mossy Oak® Break-Up Country™, Black Ops. 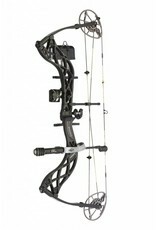 Diamond Archery Deploy SB R.A.K. 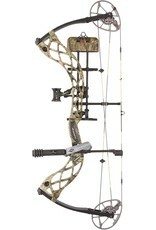 Package includes: bow, R.A.K. custom sight, Octane™ Hostage Max Arrow Rest, Diamond comfort wrist sling, Octane DeadLock Lite quiver, carbon peep sight, Octane 5" Ultra-Lite Stabilizer and BCY string loop.